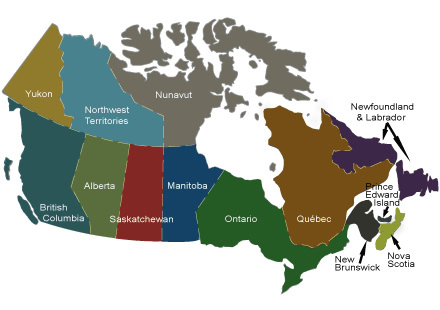 The provinces and territories of Canada offers a vast and ever expanding market for quality laboratory work surfaces, sinks and laboratory equipment. Whether it is new capitalization projects or refurbishing of existing K-12 schools, universities, Department of Education projects, R&D centers, hospitals, or Military Facilities, regional markets of Canada continue to require competitively priced, quality products of epoxy resin counter tops, solid phenolic work surfaces, epoxy sinks, water saver faucet and gas systems, fume hood cupboards and components. Specifiers and design consultants are faced with the daunting task of recommending the most efficient casework systems, bench toppings and related materials that are of current technology, cost effective, high quality and can be delivered on-time and in compliance to specifications. as well as overseas and meets all standards established for K-12 schools, universities, colleges, hospitals and other Research & Development institutes or water treatment facilities. Duratop Epoxy is only offered in fabricated cut to size dimensions based on final field measured drawings. An alternative to epoxy resin for laboratory applications is Trespa TopLab Plus Solid Phenolic work surfaces. The Rigid, strong, anti microbial and chemical resistant laboratory panels are imported from Europe and stocked at facilities in the USA for our ease of fabrication and quick-ship supply. We are able to quickly respond to market demands during peak seasons and high demand months from April to September and all year long with either fabricated - cut to size panels - or unfabricated slab material. Black, Silver Gray, Mystic White and new Slate Gray are stocked and available on a quick ship basis. cut to size to field measured & approved project drawings. Additionally, slabs of Trespa TLP Solid Phenolic Composite panel (SPC) work surfaces are also available to domestic and international fabricators or millwork companies that have the machining capability of cutting sheets to size, making sink hole cutouts and finishing edge details. The slabs are unfabricated and trimmed to 5' x 10' or 6' x 8' dimensions (1530 x 3050 mm and 1860 x 2550 mm). The benefit is reduced costs for unfinished, unfabricated sheets where fabricators make full use of the sheet requirements and use off fall to maximize yield and reduce waste and costs. As suppliers to many members of the Architectural Woodwork Manufacturers Association of Canada (AWMAC) and Architectural Woodwork Institute (AWI), we are proud to provide direct service throughout Canada and all of North America for the supply of Trespa TLP, Duratop Epoxy resin counter top materials.